We have a piano recital pretty well every Season. 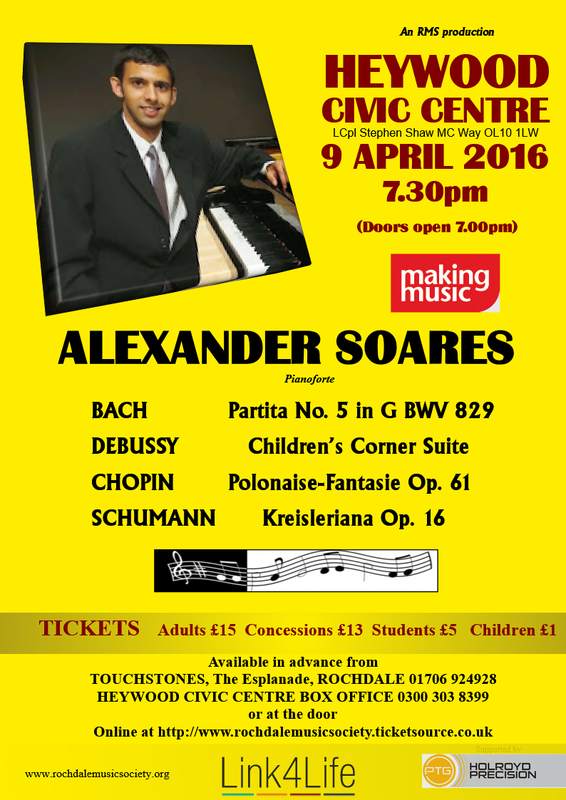 This year we'll be welcoming the young pianist ALEXANDER SOARES. He will begin with light fingered music from the Baroque era: Bach's Partita in G. You can hear him playing this by visiting the Youtube site: https://www.youtube.com/watch?v=78kvHzBzILc where some of the other items in his programme are also to be found. We hope you'll join us for what should be an enchanting experience.